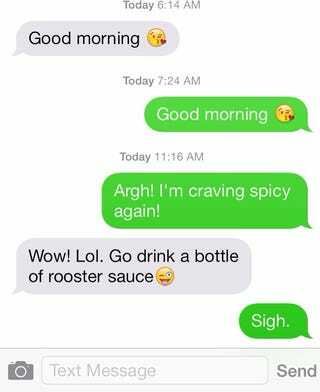 By rooster sauce he means sriracha. I had habanero sauce on my dinner last night. Again.